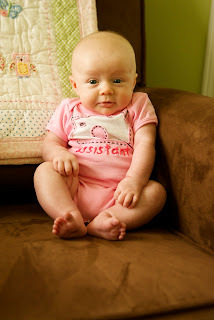 Sleep: Sleeping thru the night! 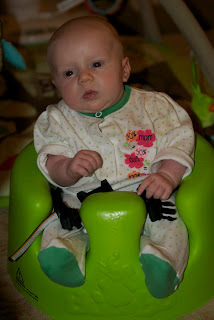 Mom & Dad are attempting to move up my bedtime in preparation for Mom going back to work soon. 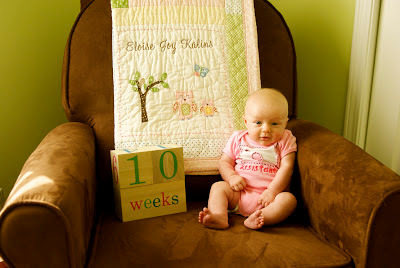 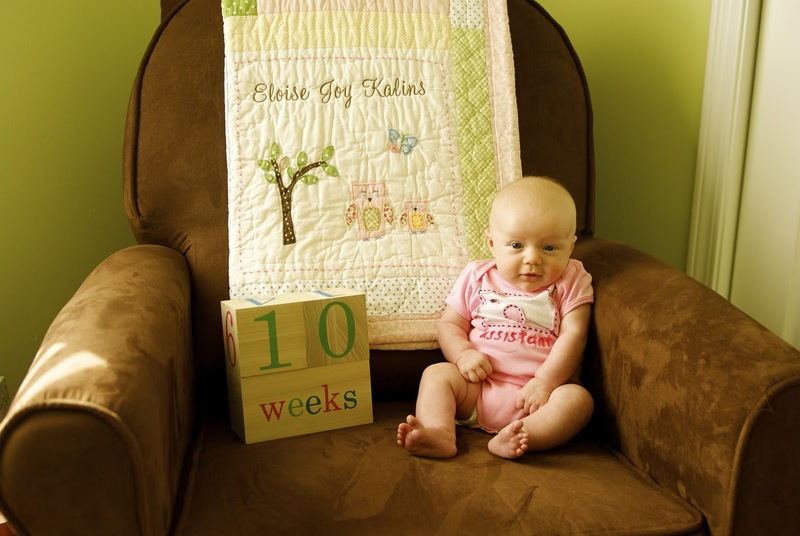 Eloise has been doing a great job on her photo shoots since Day 1. 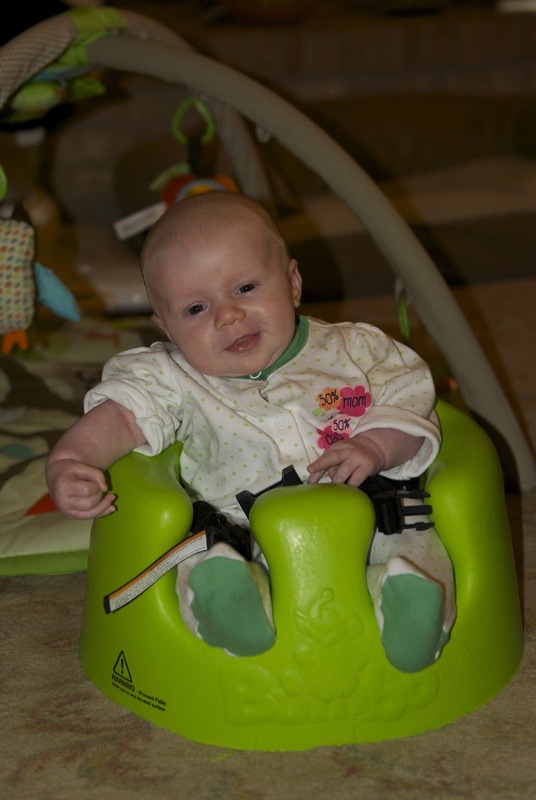 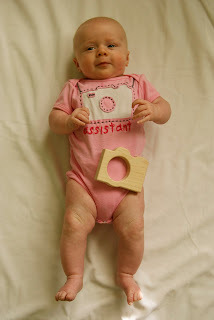 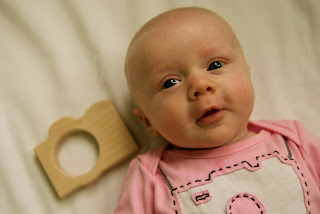 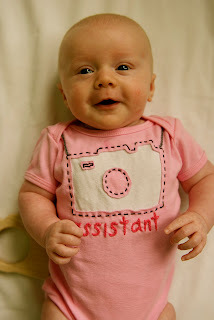 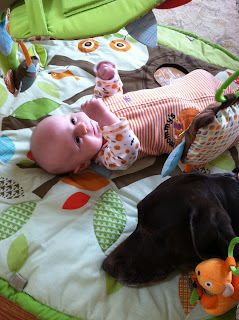 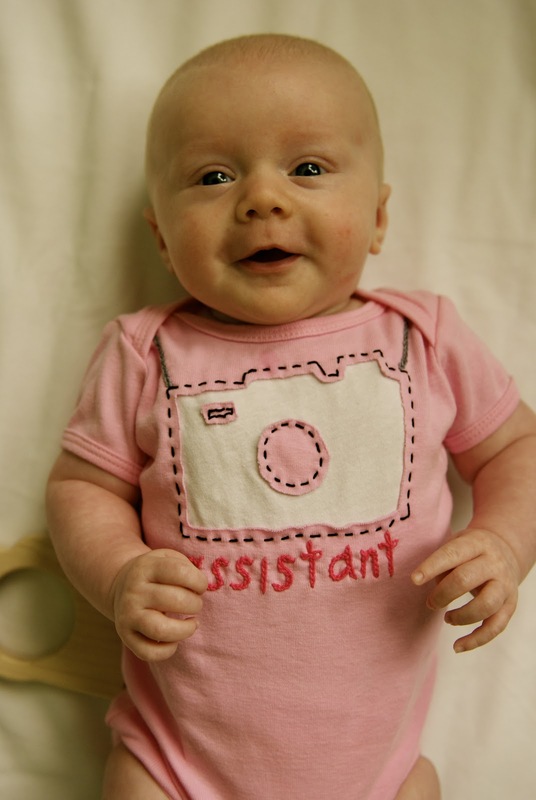 She is quite the assistant & already has her own camera to practice with - Thanks Aunt Nicole!